Deputy Minister Minister of Tourism Irena Georgieva attended the opening of the first-of-its-kind Universe Sexual Assault Referral Centre in the city of Bourgas. Its establishment was initiated by the UK embassy in our country, with the financial support of the Bourgas and Sozopol Municipalities. The official opening was also attended by the Bourgas mayor, Dimitar Nikolov, Her Excellency Emma Hopkins, UK ambassador, Sotir Tsatsarov, Prosecutor General, Georgi Kostov, Chief Secretary of the Ministry of Interior, and others. „Establishment of the centre is evidence of the successful partnership among the institution and a way to increase tourist security“, Deputy Minister Georgieva said. She reminisced that the Ministry of Tourism is also backing for a second straight year the British embassy’s TakeYourPic initiative for responsible tourism by English visitors to our country. The campaign is carries out in the social networks Facebook, Twitter, and Tumblr and is an innovative way to inform British visitors in real-time, by sharing both satisfying and unpleasant experiences, of what could improve or jeopardize their vacation in our country. According to her, the initiative has become recognizable among the most vulnerable group – those aged 14 – 35, and has been adopted as a successful practice by tour operators and travel agencies. 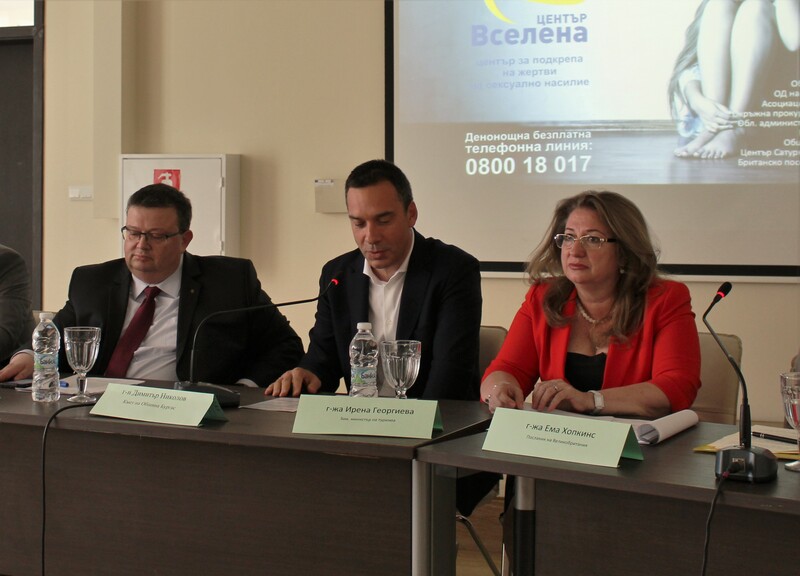 "Official stats about the campaign are also positive – incidents involving British tourists in our country have declined by 25%", Irena Georgieva stated further. Later that same day Deputy Minister Georgieva and Zhivko Tabakov, advisor to the Minister of Tourism, offered a floral tribute at the commemoration ceremony to honour the memory of the victims of the terrorist act at Sarafovo Airport in 2012.